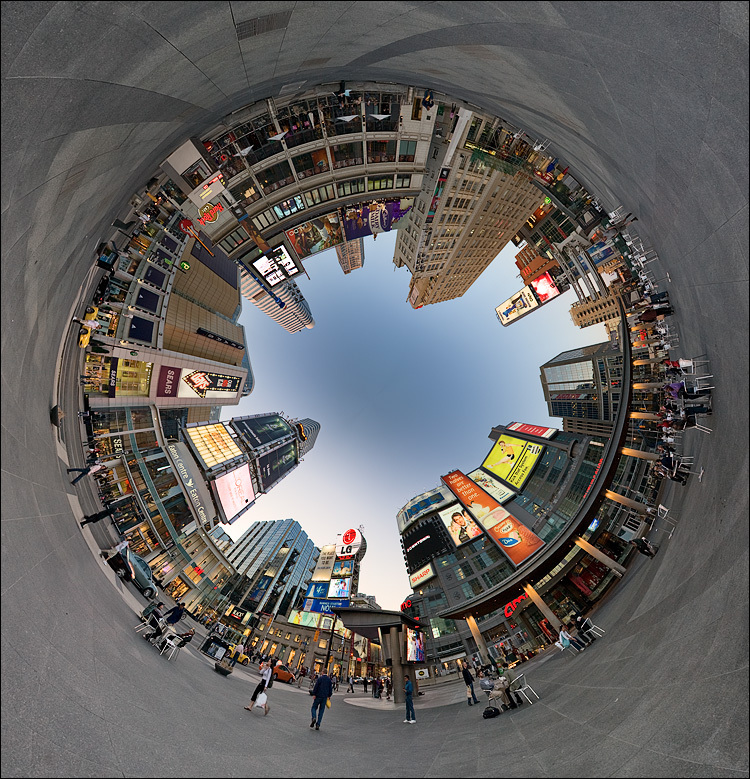 A panoramic view of Dundas Square in Toronto. I highly recommend the bigger version on flickr. Check out the interactive panorama at viewAt. Make sure to use the full-screen button.